In my previous post I talked about our launch experience. In case you missed it you can read it here! So, here we are. At approx. 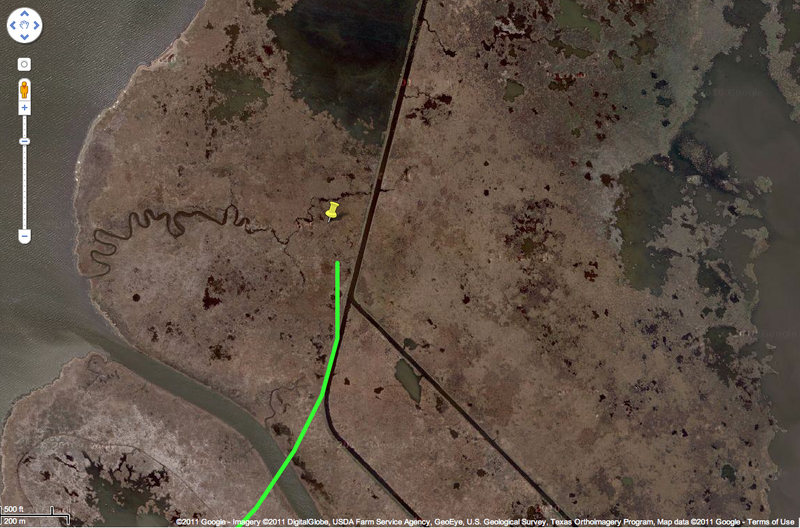 65,000 feet when the International Space Station flies right over Houston and over our BTS-1 balloon and capsule. 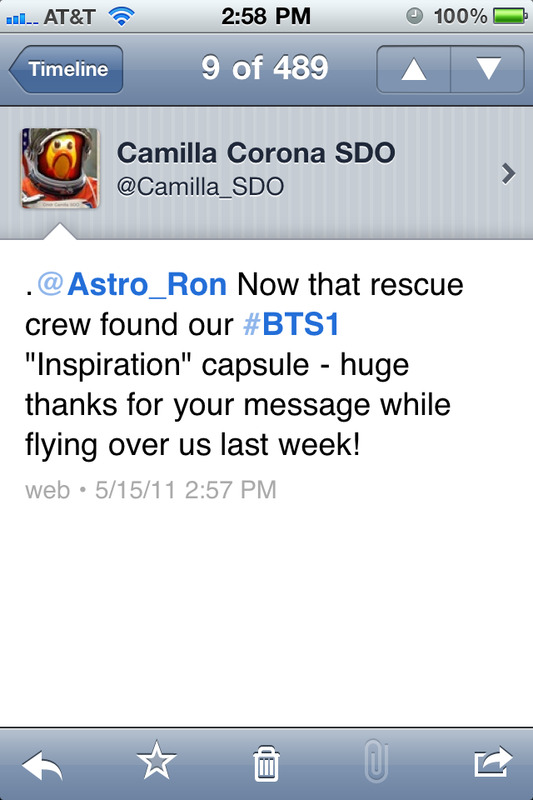 At that time we were the closest individuals to the ISS. 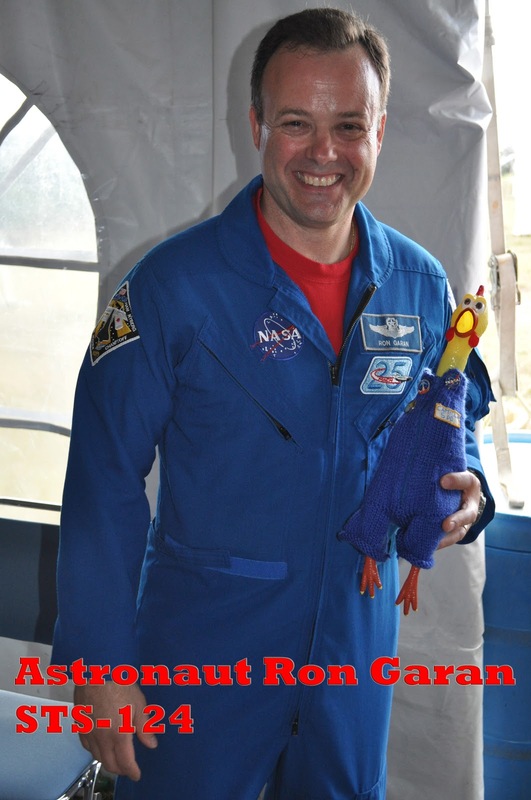 At this time Astronaut Ron Garan sent us all a message from the Space Station. Now how awesome is that? 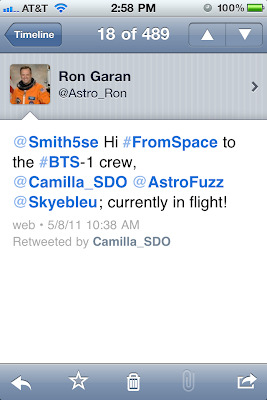 Ron and I met last year at Kennedy Space Center and it truly was friendship at first sight. He talked about his upcoming trip to the ISS via the Soyuz. And now he is already up there, sending us a hello back down. Plain awesome! 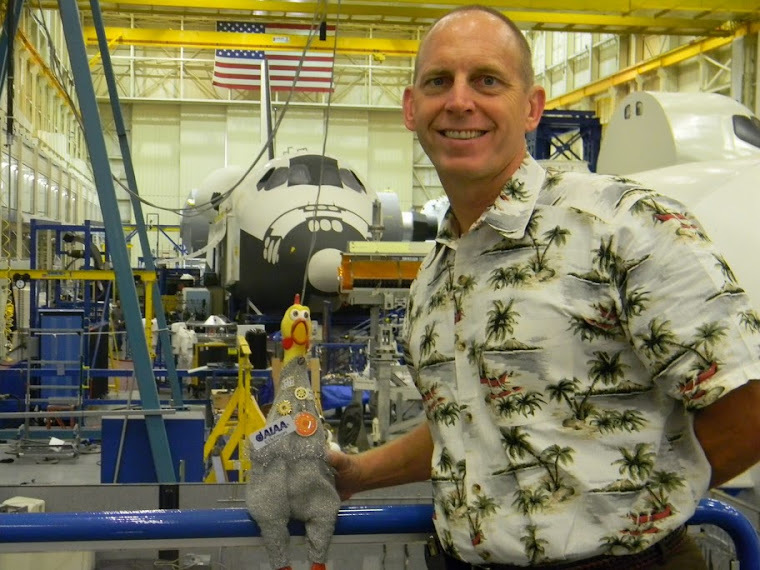 Ron also flew on STS-124 Discovery to the ISS to delivery the Kibo module. 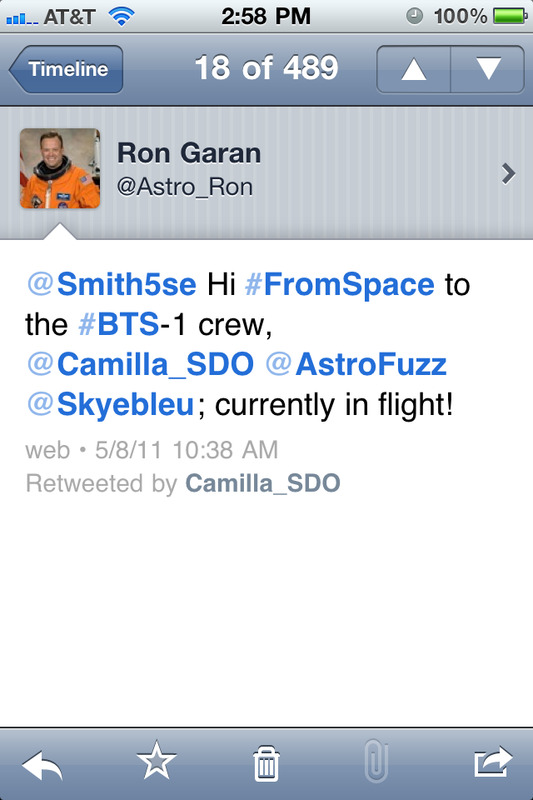 And on April 4, 2011 he launched on Soyuz-TMA21 to the ISS to join the Expedition 27 crew. So the Troposphere begins at the Earth's surface and extends from 4 - 12 miles (or for my out of the US friends... 6 to 20 km) high. Obviously, this is the layer of the atmosphere we (minus 6 people) live in. As the density of the gases in this layer decrease with height, the air becomes thinner. Therefore, the temperature in the troposphere also decreases with height in response. As we climbed up higher, the temperature dropped to a chilly -60 Fahrenheit (or -51 Celsius). Let me tell you, Mark Twain said the coldest winter is a summer in San Francisco, but Camilla says the coldest winter, spring, summer and fall is at 60,000 feet, mo matter where you are! The transition boundary between the troposphere and the layer above is called the tropopause. Together the tropopause and the troposphere are also known as the lower atmosphere. Oh yea, almost all the weather we know occurs in the Troposphere. And speaking of weather, we get into some Jet Stream and that really sped us up. At some point we were doing well over 130 mph hours! What is jet stream? Jet Stream are fast flowing, relatively narrow air current found in the atmosphere around 6-7 miles (10-11 km) above the surface of Earth. They form at the boundaries of adjacent air masses with significant differences in temperatures, such as the polar region and the warmer air to the south. The jet stream is mainly found in the tropopause, at the transition between the troposphere (where temperature decreases with height) and the stratosphere (where the temperature increases with height). So we entered the Stratosphere, which extends from the top of the troposphere up to around 31 miles (or again, 50 km) above the Earth's surface. Now this layer holds 19% of the atmosphere's gases but very little water vapor. (side note: I believe for a little while we increased that % to 20 or 21% percent since Fuzz really had some bad CCG (CupCakeGas). 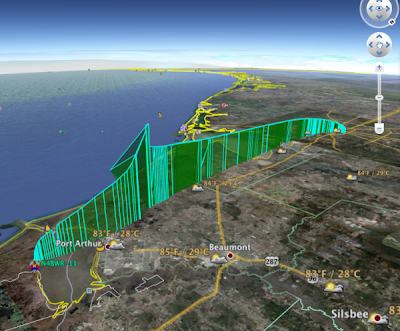 What's really interesting - in this region the temperature increases with height. Why is that you might ask? Well, heat is produced in the process of the formation of Ozone and this heat is responsible for the temperature increases from an anverage -60 Fahrenheit (-51 Celsius) at the tropopause to a maximum and warm 5 Fahrenheit (-15 Celsius) at the top of the stratosphere. So, here is where some of our problems started. But in order for you to get the entire picture, I have to tell give you some more insight information. Of the past 5 months we did daily Trajectory Predictions on a daily basis. These predictions really helped us understand the dynamics of a balloon flight. There were periods where we landed 200+ miles away from the launch site and then there were periods where it was "only" 100 miles. And we learned that the seasons and weather patterns really have a big impact. The morning of May 8, our launch day, the two different predictions we got were so-so. One got is on land, the other one had us land in the Gulf of Mexico. Red and Pink where our May 8th predictions. 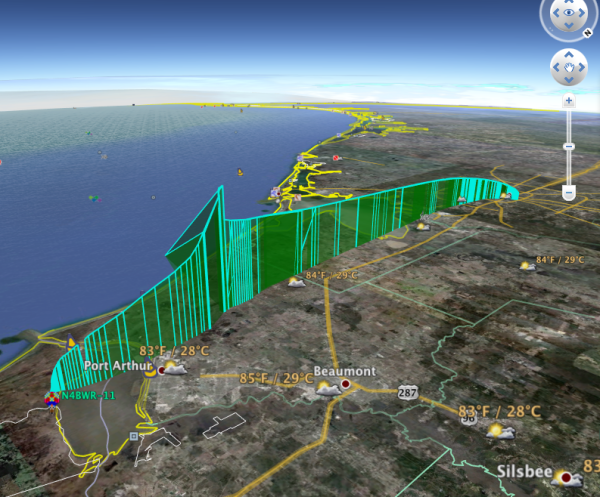 Green ended up being our real flight data! 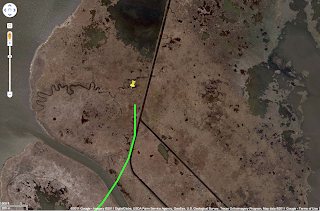 As we approached 78,000 feet our ground tracking went offline. What happened? We looked at Mission Special Skye Bleu and she just shrugged her shoulders. My first thought was that maybe Space Weather impacted our communications. Could have a solar storm, solar wind or even a Coronal Mass Ejection really taken us "offline"? While it could have, we didn't think so. See, Space Weather does have a direct impact on life on Earth and can interfere with communications. The charged particles that come in from the Sun can truly take out satellites. Imagine GPS satellites to go down or communication spacecrafts to get damaged. But space weather can also be harmful for our Astronauts in space. And a large enough solar event can also damage and entire power grid, leaving millions of people without power. If you want to learn more about Space Weather, read my older post "Space Weather - A different kind of Storm" or "Space Weather - Impact on Life on Earth". Well, it turns out that Space Weather was not the cause for our communications black-out with our ground team. In fact, we are still analyzing all the data and are trying to learn the real cause and how we can fix it in the future. 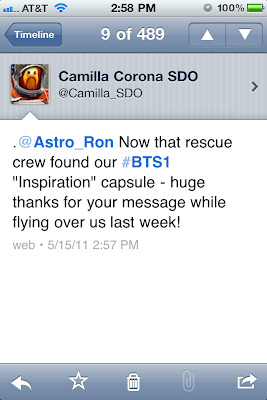 But what it meant was that our recovery team was "stranded" for over 15 minutes. They really had no idea where exactly we where. So they stopped and waited. During this time we also hit our apogee of approx. 87,000 feet. Our propulsion system, the weather balloon, by now over 25 feet in diameter, popped. For a few seconds we experienced weightlessness and then it went the other way! Because the air is so very thing up there, the parachute did not deploy and we had a few seconds of fun free fall. We were all screaming from joy! The parachute deployed as planned and slowed down our descent. I looked out the window and saw a lake ahead of us. At around that time our tracking picked up and I was able to send a message to Ground Control "Houston, we have a problem!". We were heading straight for that lake. I was not really excited about a water landing. Only because the rocking of the waves always makes me a little sick. For some time we just seemed to "hover" over the same location. The weather patterns were pretty amazing. But then we continued to decent and get closer to the ground. Fuzz pointed to our map and said "Commander, we are about to cross the State line into Louisiana.". We were not supposed to go there! But hey, why not! Except, I really wanted to get across that lake, which divides Texas from Louisiana. And now it's time to learn about our landing experience and our first day in the swamp of Louisiana. Check out my next blog entry.